But before you get too caught up in sending and receiving heart-shaped boxes of chocolate, remember: You've got a month of March Madness to plan parties for coming right up around the corner. While balloon sculptors might not be as tall as basketball players, they're probably more entertaining. But wait, there's more! If you aren't into balloons (although really, who isn't into balloons? ), visit our website to see all of the entertainment we offer. It's time to start thinking about planning your event entertainment, whether it be the anniversary party next week, or the company picnic in May you're in charge of, call About Faces for all your entertainment needs! Disclaimer: The fact that a holiday doesn't actually exist should never stop you from celebrating it, and perhaps even celebrating with a few hired face painters or caricature artists. Now the tricky part... Which holidays are real, and which ones are fake? The Featured Entertainer... Greg B.! 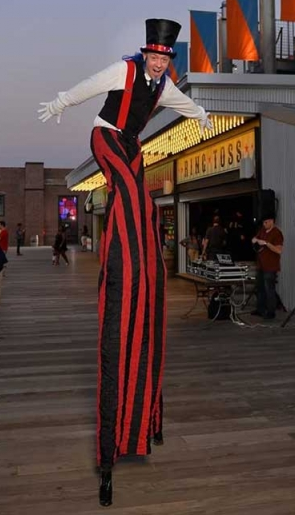 I do stilt walking in Atlanta, GA. I also perform as a living statue. I've been involved in throwing night club events for 22 years. We kept adding new acts, so I became skilled at several things including body painting, costuming, dancing and stilt walking. Once, another stilt walker good friend and I dressed as stilt clown police and went down the main street of fantasy fest in Key West, flashing lights, blowing whistles and honking horns at everyone we met, and "arresting" them for all kinds of silly things. A duo clown team can wreak all kinds of hilarious havoc. I'm easy going, full of joy, and I have a good attitude. I'm a trouper, so no matter how tough the circumstances, I always keep a smile and make the best of any situation. I attempt to connect with everyone and make sure they are all having a good time, and I've been told numerous times I'm "the life of the party"! 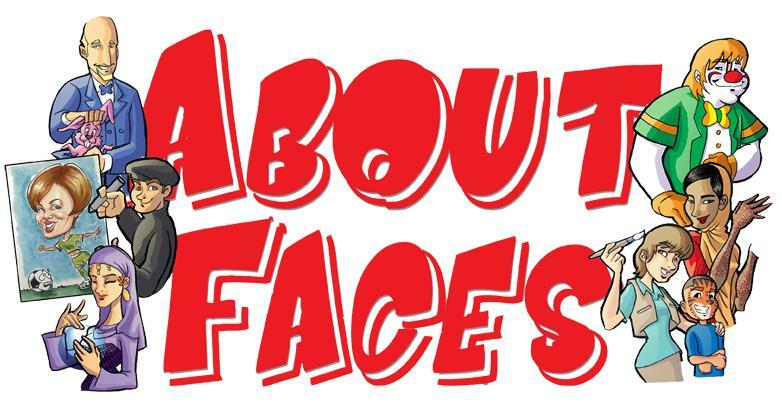 This concludes another About Faces newsletter! Aren't you sad it's over? Don't be, because now's the best part! It's officially time: Call 1-800-92-FUNNY, reply to this email, or click the link in my name to start booking your event now.